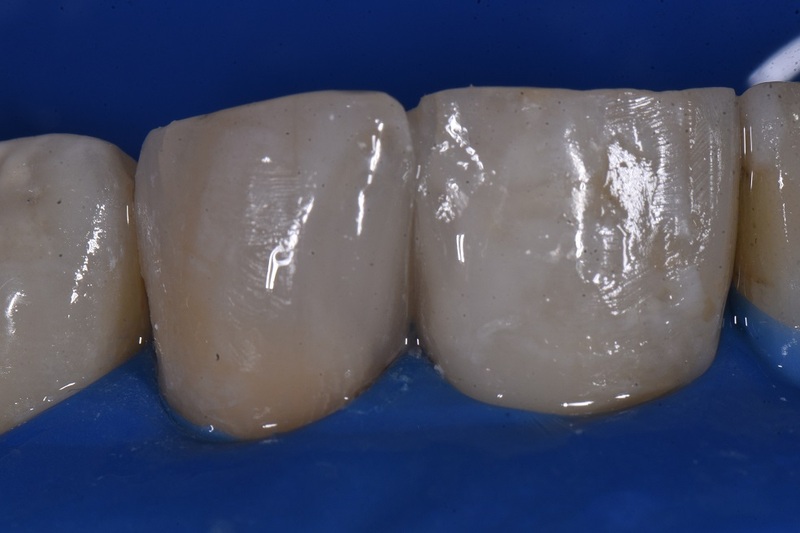 Just another example of large Class III restorations restored using a single shade of GC Essentia U – Micro air abrasion was used to gain maximal micromechanical retention before a selective etch bonding procedure using G-Premio Bond. The facial increment was placed with a Lo-Flo initial increment uncured followed by packing of U packable facially to push this onto the bevel. 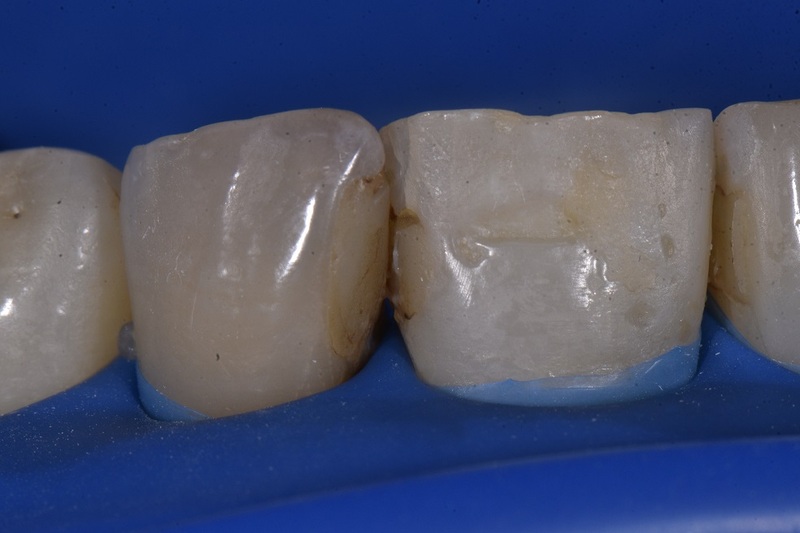 Hi-Flo allows precision of placement in all other marginal and internal irregularities. The optical blend and chameleon effect of this material is outstanding.